Come out and join us on Friday September 21 at Lapham Peak at the Hausmann Nature Center. The building will open for us at 6:30 pm, with the meeting to follow at 7:30. Feel free to come early for an unscheduled hike on the beautiful Lapham Peak trails system. To get to the nature center, go west on I-94 and take the Delafield, County C exit. Turn right (south) and proceed one mile to the park entrance on the left (east) side of County C. Follow the signs to the nature center parking lot that is on the left just before the tower parking lot. Check out the Lapham Peak Friends Hausmann Nature Center web page that has a map to the center. 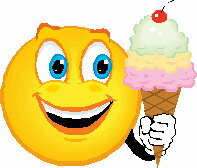 We'll have our traditional ice cream social, socializing, and sharing of summer stories. Hope to see you there! P.S. Remember you'll need a state park sticker, if you don't already have one. A daily state park sticker costs $8 for WI residents and $11 for nonresidents. Also, consider renewing your annual membership at this meeting!